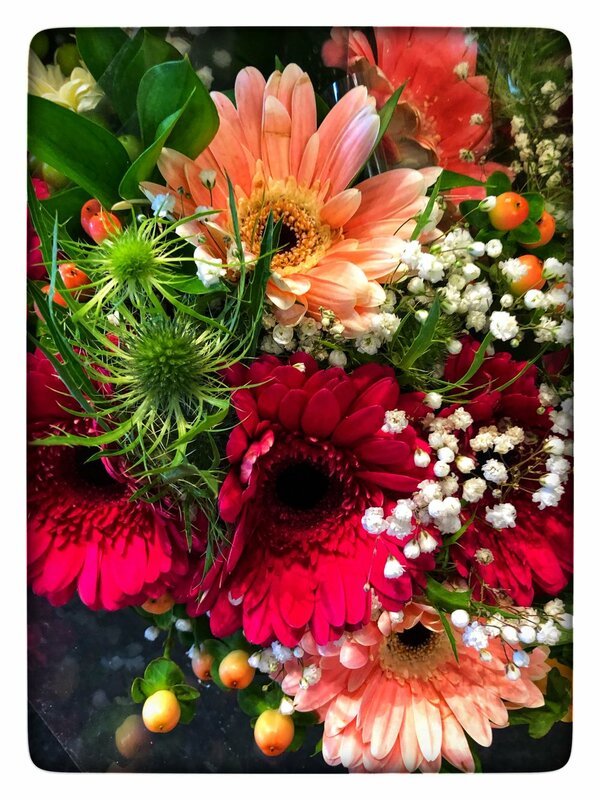 Cheerful and vibrant holiday flowers made by our florists at Russo’s. We hope that you have been enjoying a wonderful holiday season! In the spirit of making (and keeping) New Year’s resolutions, we wanted to start off the year with a healthy opportunity to learn about your food. Please mark your calendars for this Saturday, January 5th at 10:30 am! We are pleased that Caroline Pam will be at Russo’s to discuss her organic farm, Kitchen Garden Farm, located in Sunderland, Massachusetts. We will have samples of her farm’s incredible products which you may have seen in our store in the past few months. Caroline Pam at her farm Kitchen Garden Farm in Sunderland. She will be at Russo’s on Saturday. Along with their incredibly flavorful organic produce, Kitchen Garden Farm makes delicious organic Sriracha and Salsas. We carry them at Russo’s - and at a special introductory price of only $6.98 each! Kitchen Garden Farm’s delicious organic handcrafted Salsas and Srirachas at Russo’s. Organic local butternut squash $.98 lb. Organic butternut squash on special this week at Russo’s. Fresh crisp California broccoli crowns $1.49 lb. 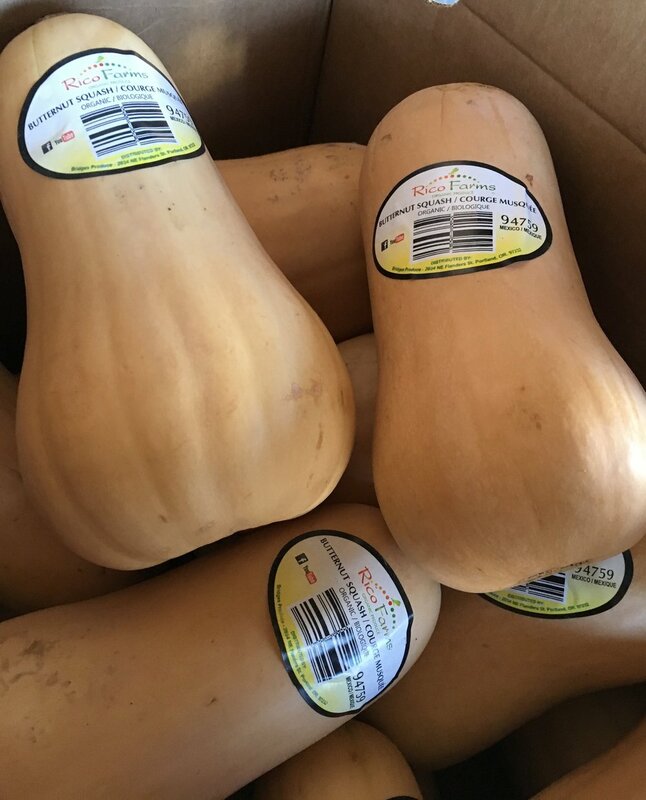 Premium quality local butternut squash $.79 lb. Local extra fancy apples sold in approx 4-5 lb. baskets $.79 lb. Zucchini and summer squash $.98 lb. Hand-dipped chocolate strawberries from Russo’s are perfect for a New Year’s treat. Russo’s assorted cookies $14.98 lb. Avocado cranberry chicken salad $8.98 lb. From Vermont’s award winning Grafton Village 1 year cheddar $7.98 lb. Boerenkaas gouda from Holland, the cheese they say the Dutch keep to themselves and with one taste you will know why $12.98 lb. French cured ham $10.98 lb. Ferrarini mortadella with pistachio $5.98 lb. Watch our latest “Tony Tips” by Tony Russo by following us on social media (links below!). And if you have a special recipe using Russo’s produce, let us know. We will share it with our followers! Thank you for signing up for our Russo's News + Specials newsletter! Show this special subscriber code of NEWYEAR1020 at the register for $5 off a purchase of $50 and $10 off a purchase of $100 thru January 7 (Monday-Friday only). You must present this email directly from Russo’s (not forwarded!) on your phone or printed out to receive this special offer.